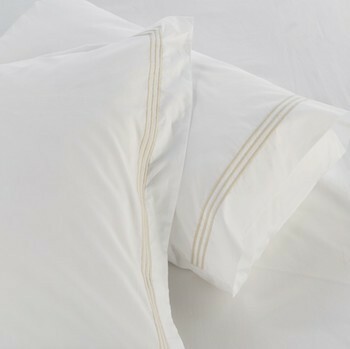 Our 50x90cm tailored king pillowcase comes with a 7cm oxford border trimmed with a triple stitched embroidery in almond colour. 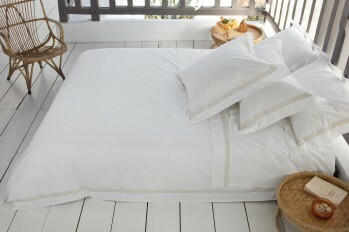 Light and crisp yet smooth to touch Elba comes in a400 thread count long fibre combed cotton keeping you warm in winter and fresh in the Australian summer. 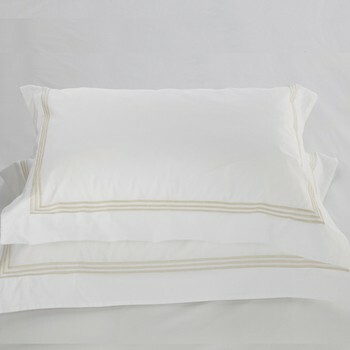 A perfect addition to your home linen collection, the Elba tailored king pillowcases are very long lasting and launder beautifully becoming softer with every wash. Complete with look by adding the matching quilt cover or sheet set to capture the collection’s Mediterranean style and easy living feel.